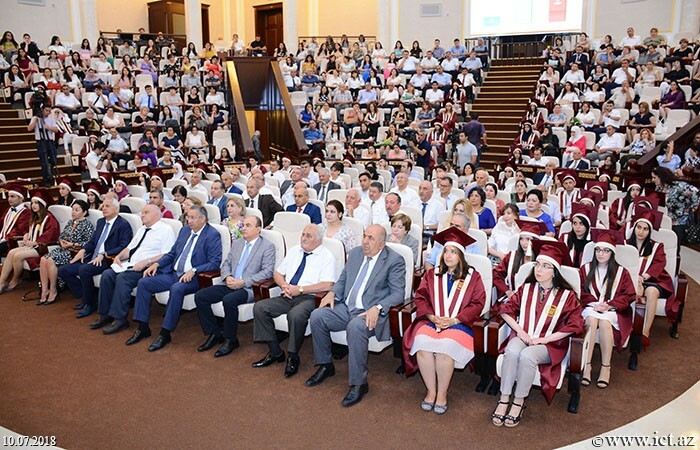 On July 10, the graduation day of master's student of ANAS was held. 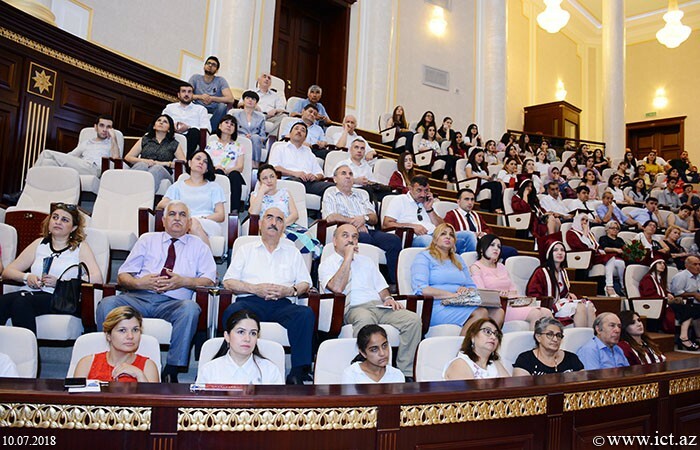 Science, education and community representatives attended the event. 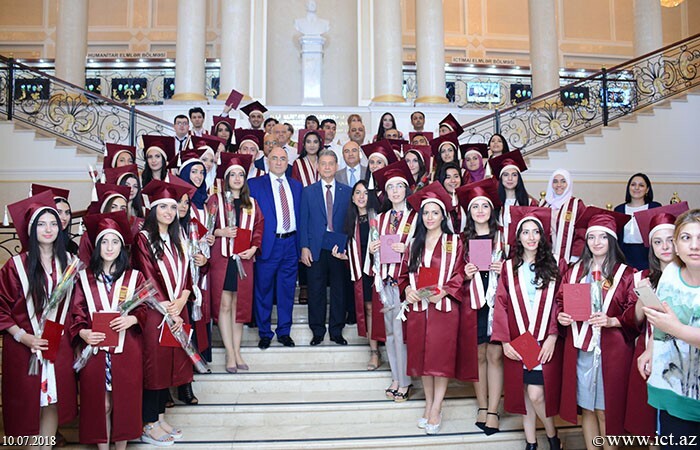 President of ANAS, academician Akif Alizadeh congratulated post graduates on this remarkable day and wished them success in their further scientific activities. 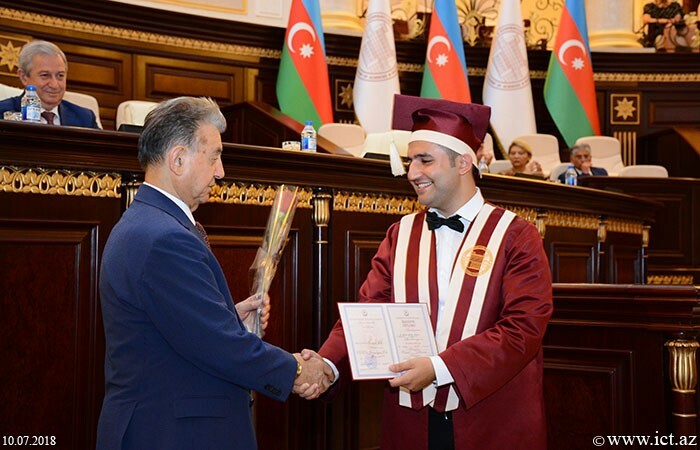 He noted that the master's degree was established with the support of the head of state in 2015, and the head of ANAS considered it as one of the significant achievements in the field of science and education integration. 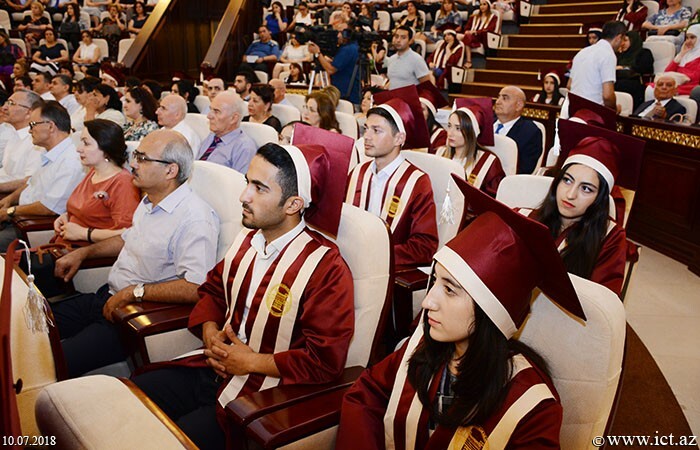 He noted that masters studying at the academy participate in international events as well as meet world-renowned scholars, exchange ideas and practice internationally-equipped laboratories. 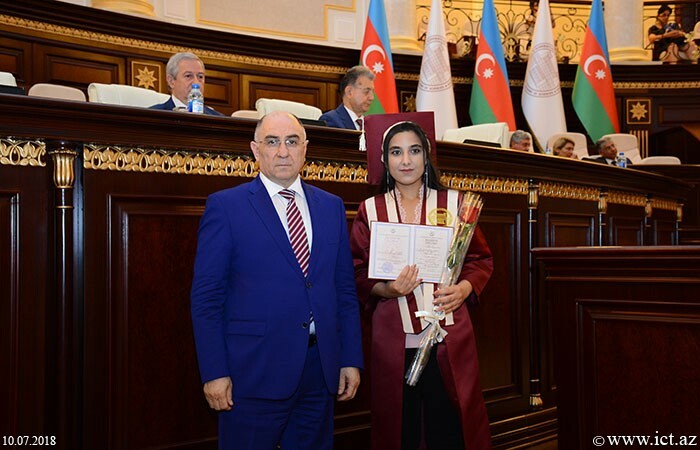 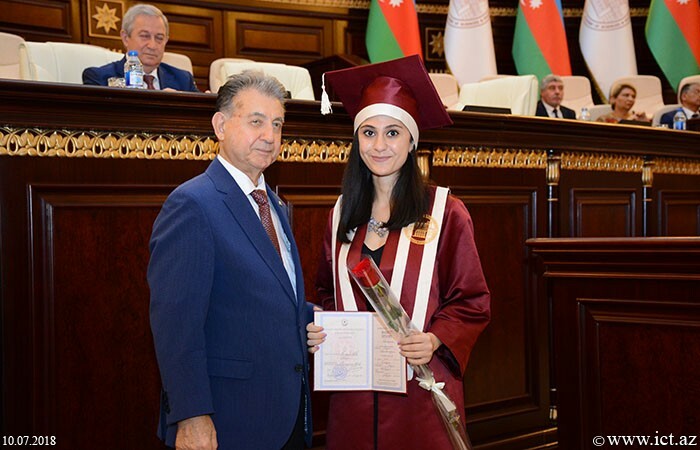 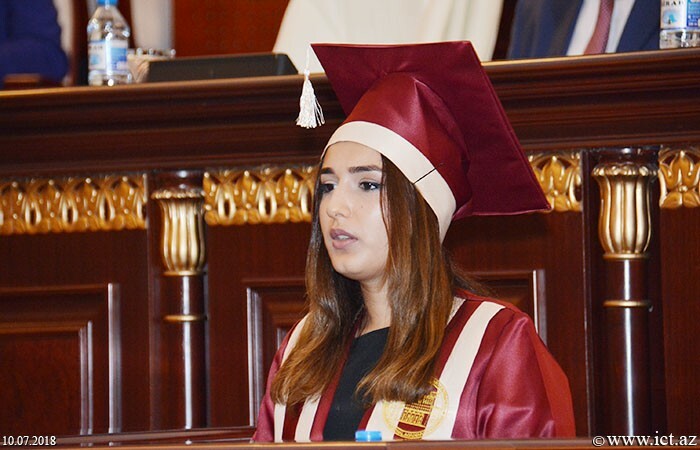 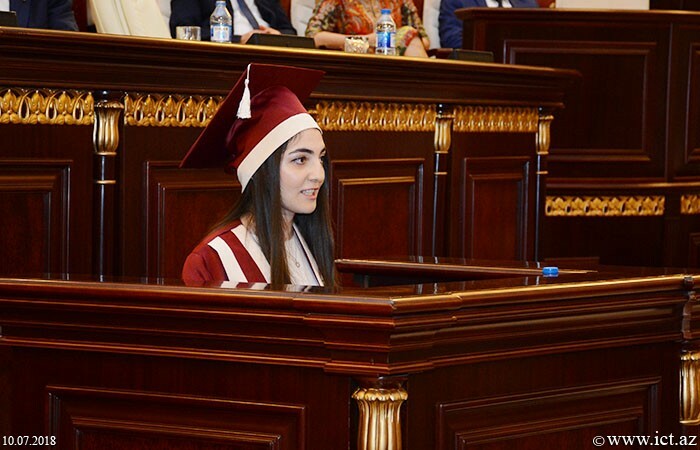 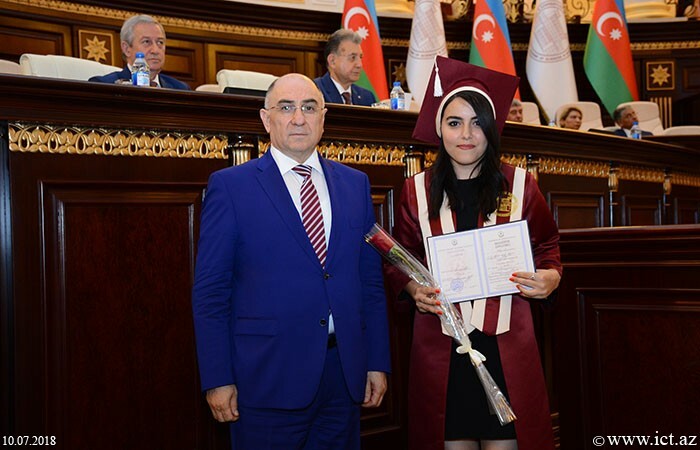 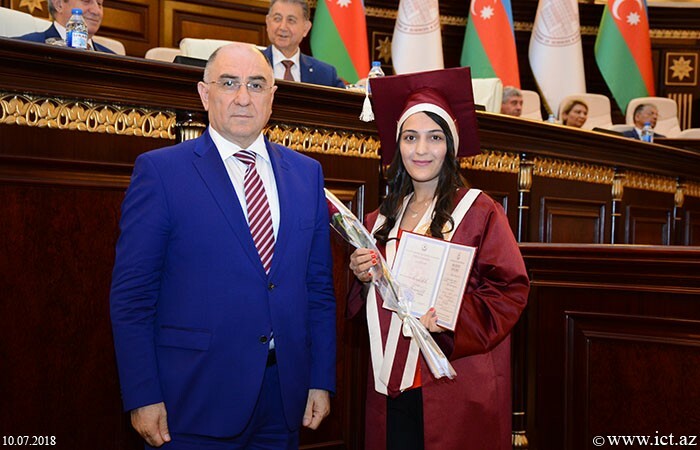 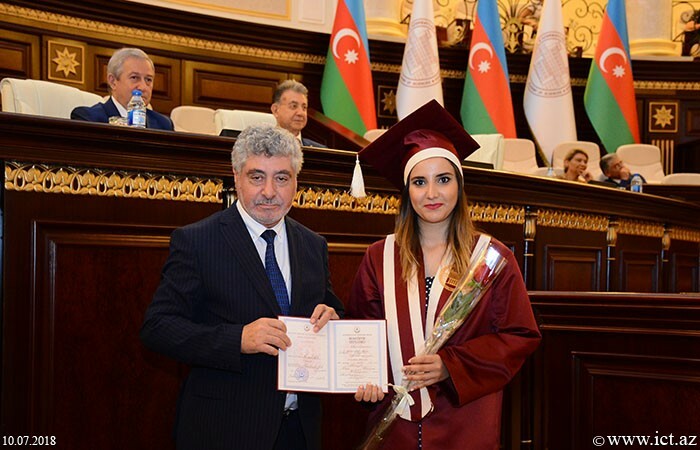 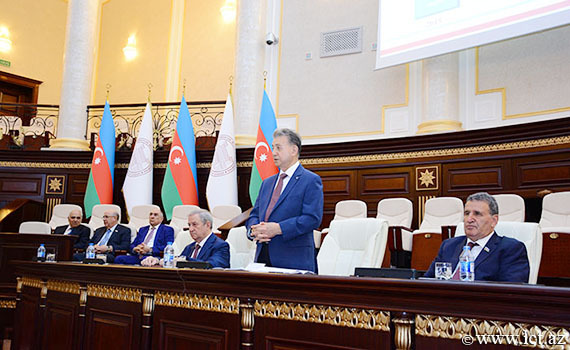 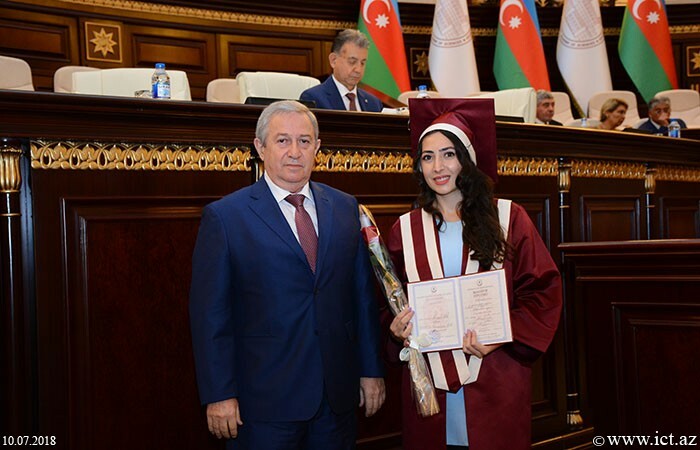 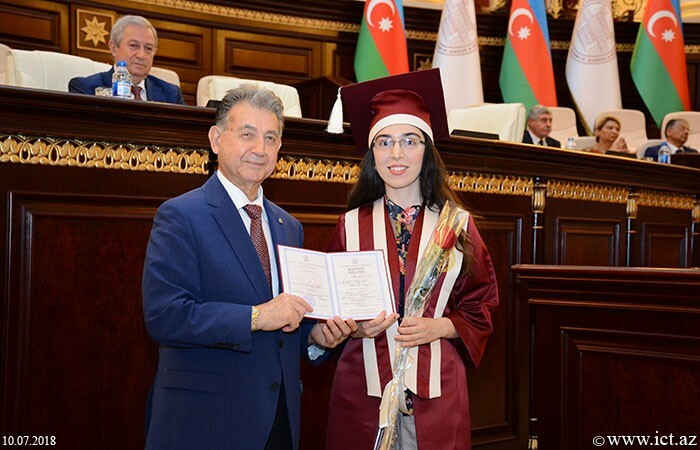 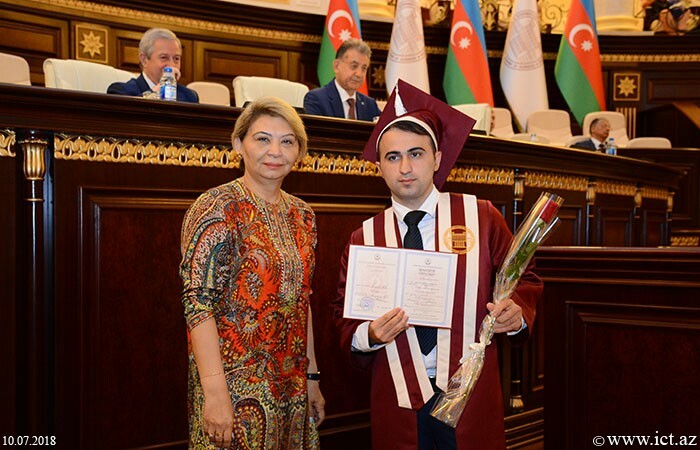 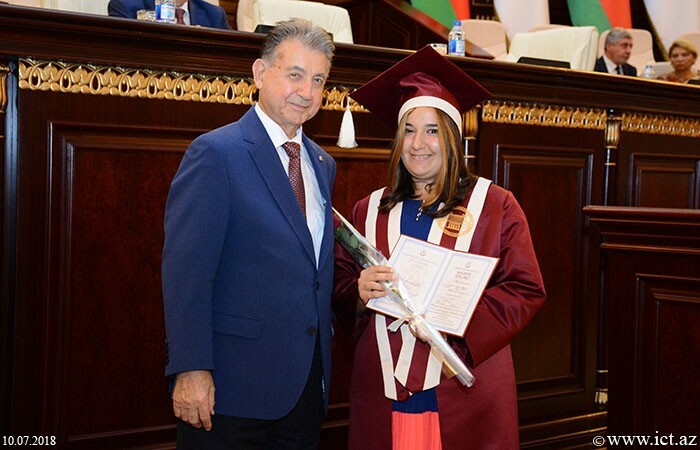 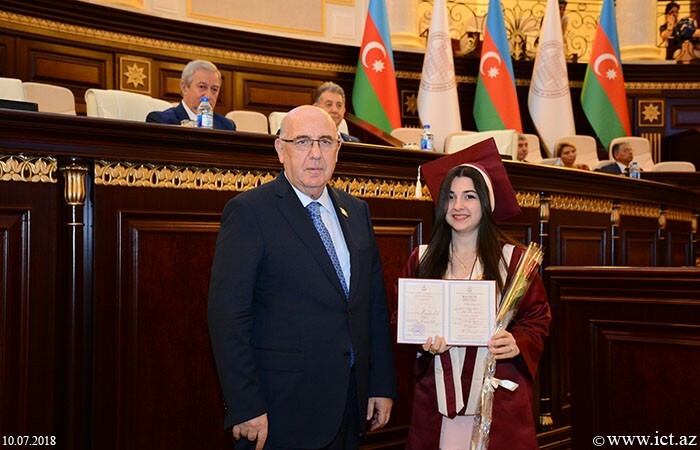 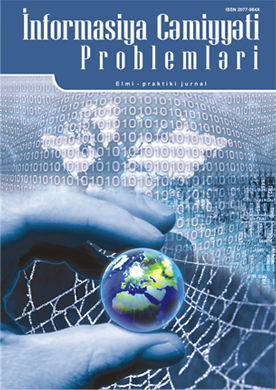 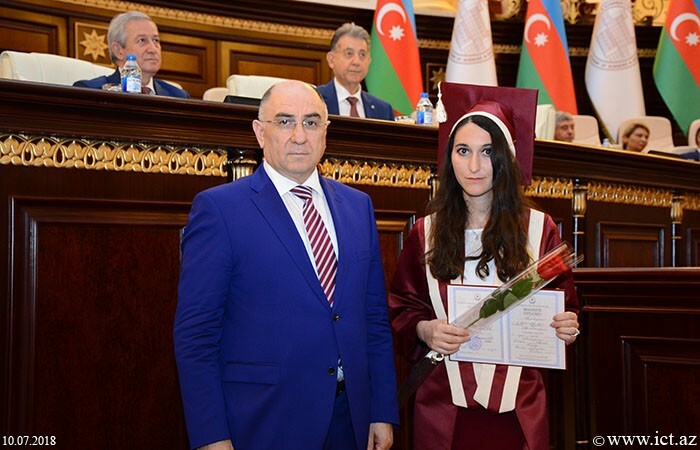 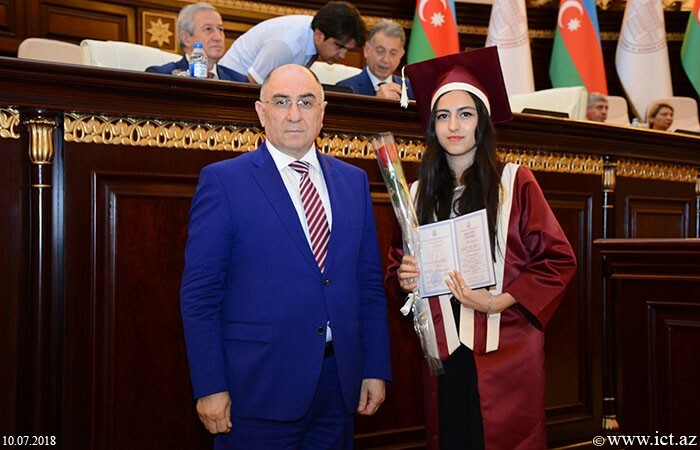 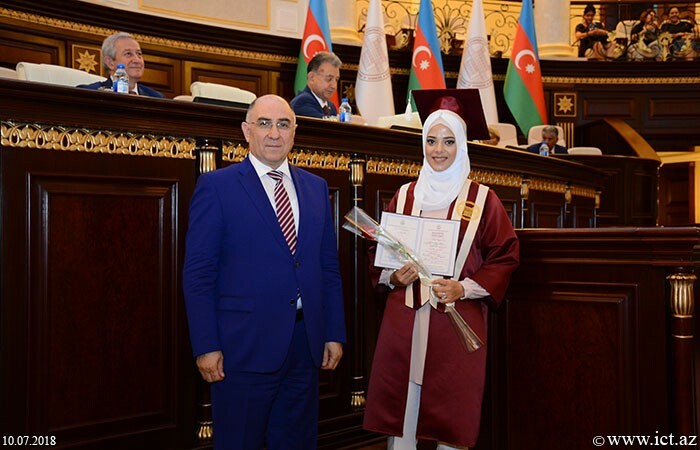 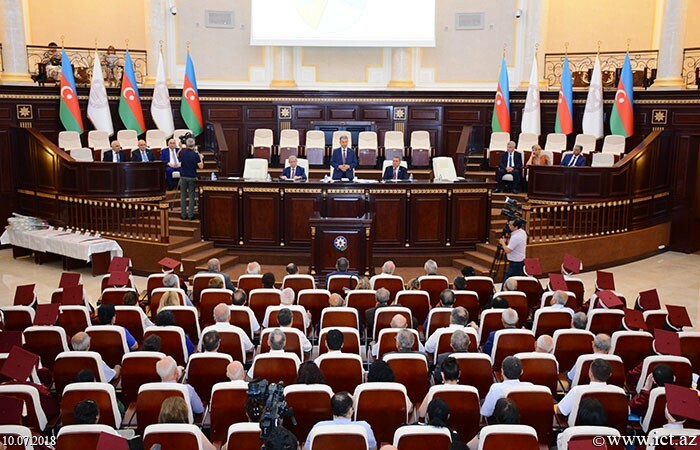 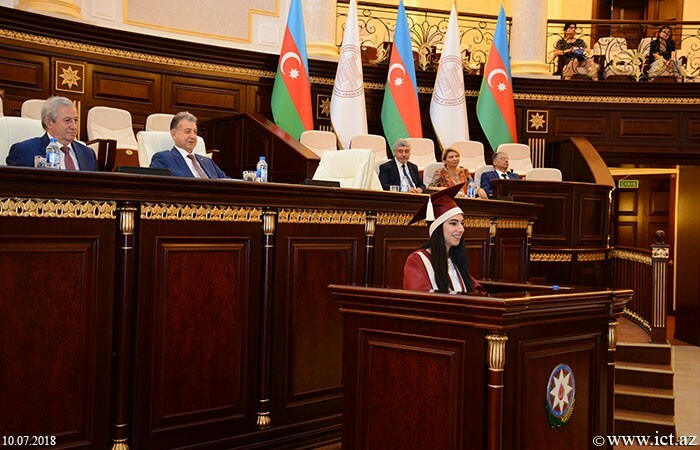 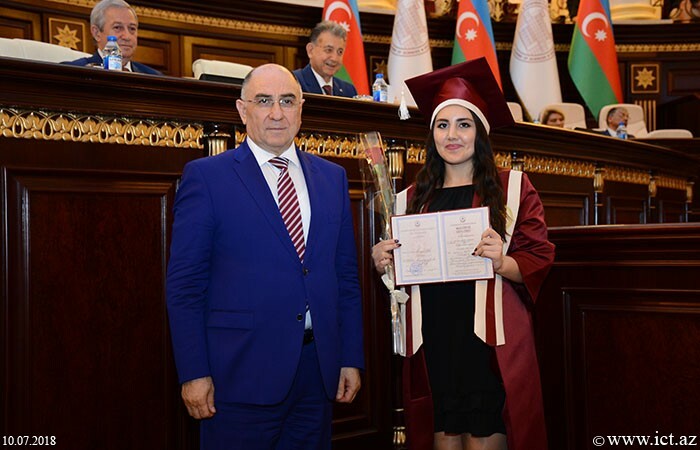 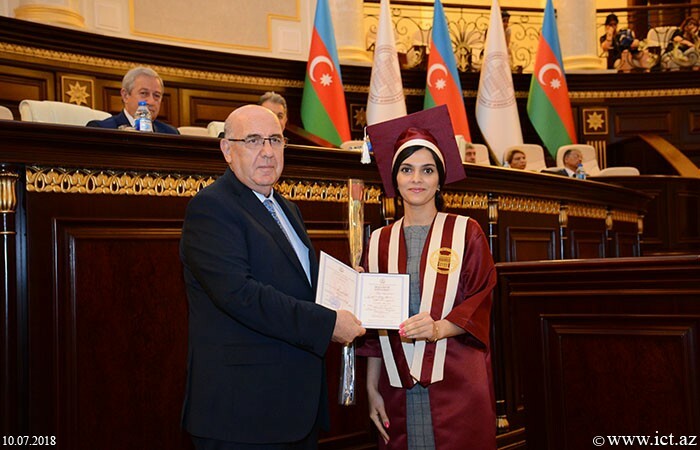 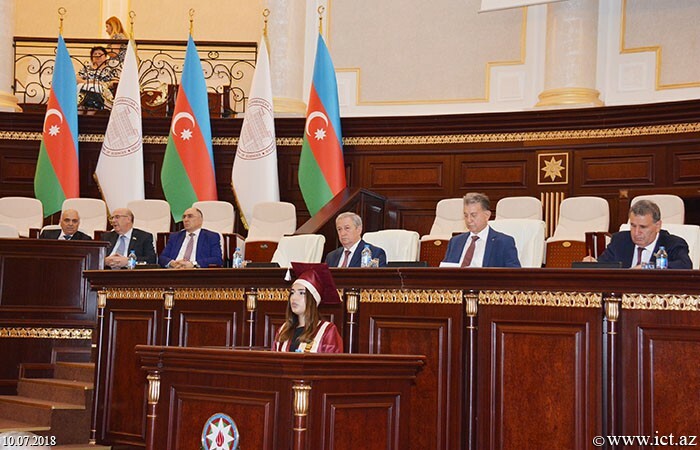 At present, we are trying to create all the conditions for the organization of master's degree at the National Academy of Sciences of Azerbaijan, as well as for the development of master's students as a professional, A.Alizadeh underlined. 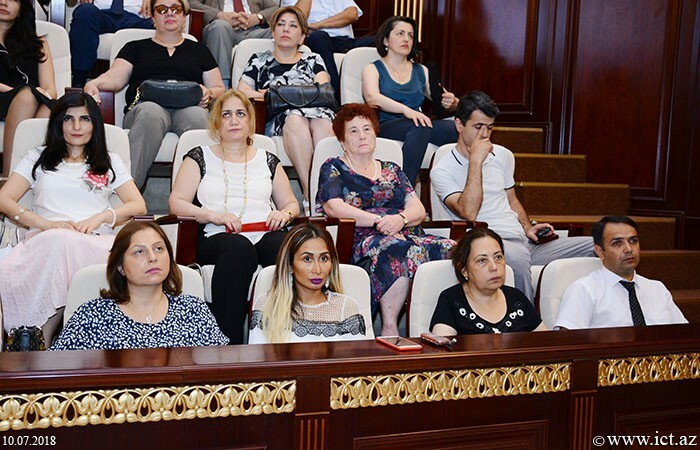 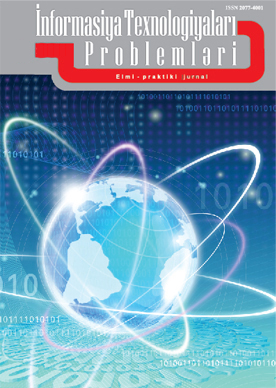 The scientist said that Education departments were established in all scientific institutions and organizations of ANAS, and this has opened wide opportunities for operative solution of all questions related to masters degree program and doctoral studies in the Academy. 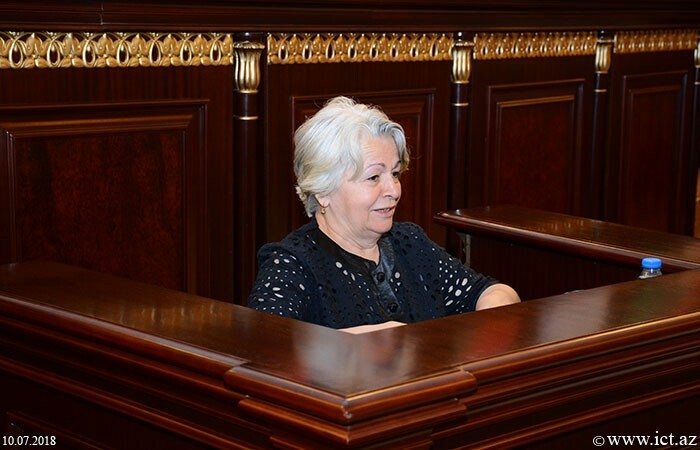 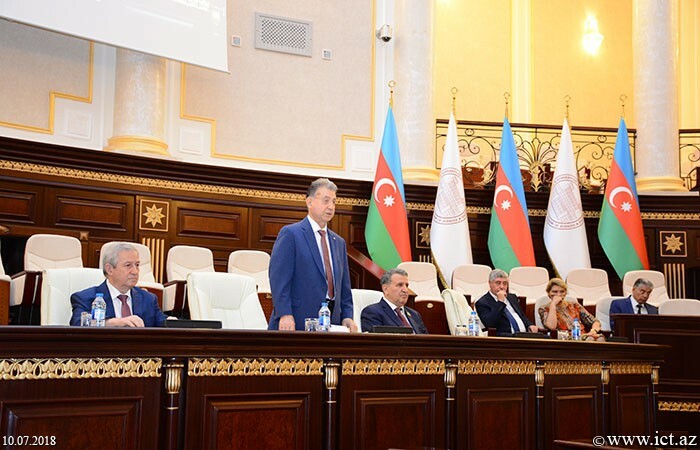 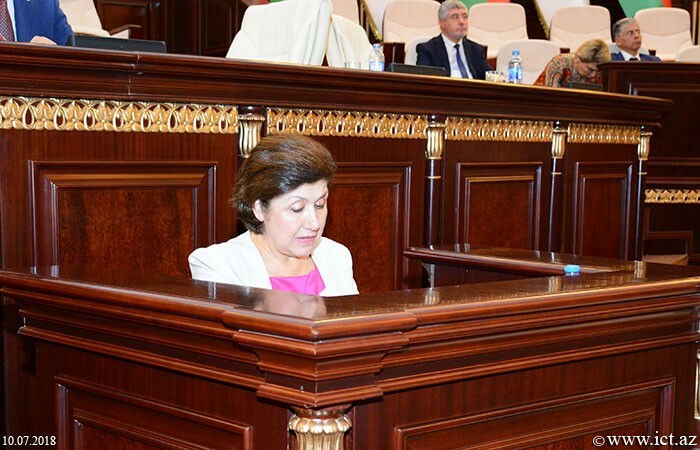 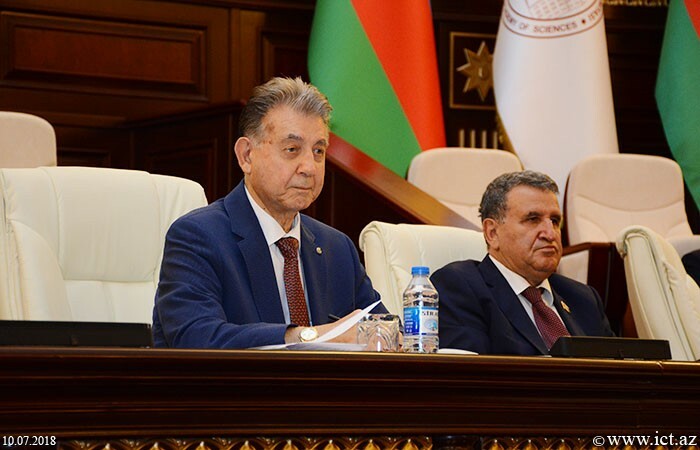 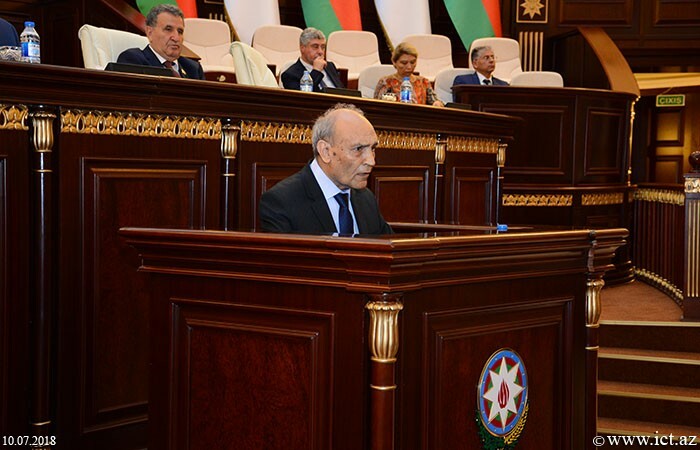 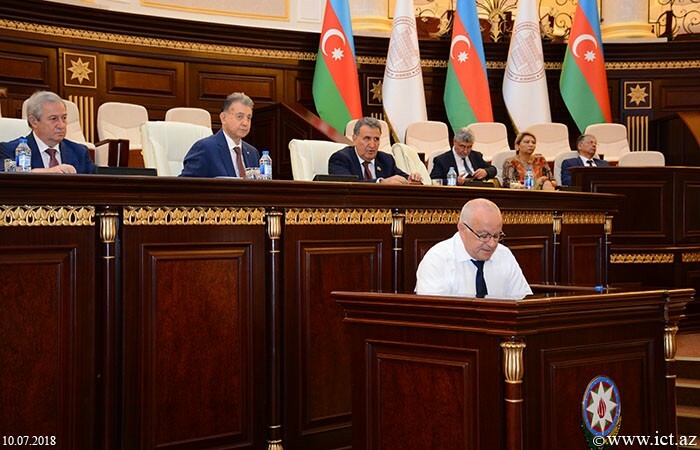 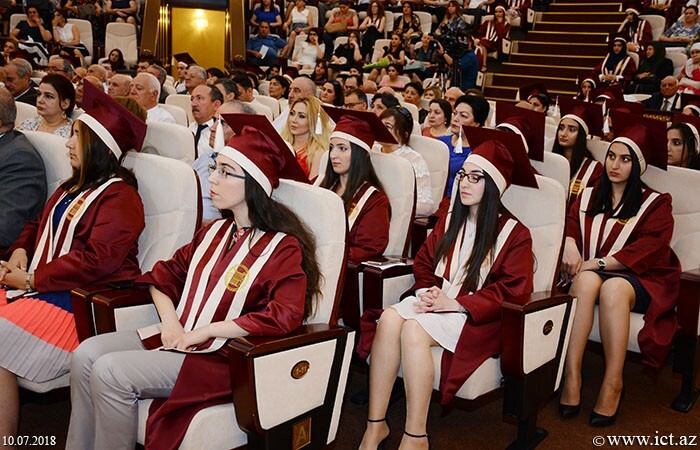 We intend to turn the Academy into an intellectual brainstorming center, said A.Alizadeh, adding that the interest of young people to study at the Master's degree of ANAS is growing, the master's students of the academy are provided with jobs and at the same time they are involved in grant projects. 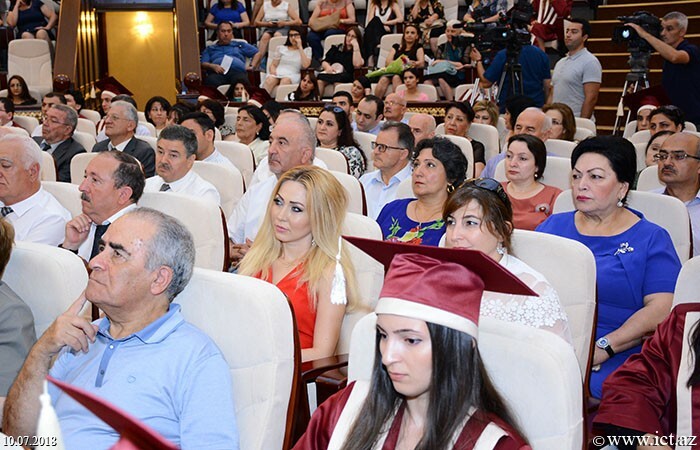 He urged the graduates to keep up with the name of the science school they are studying and to be worthy builders of our future. 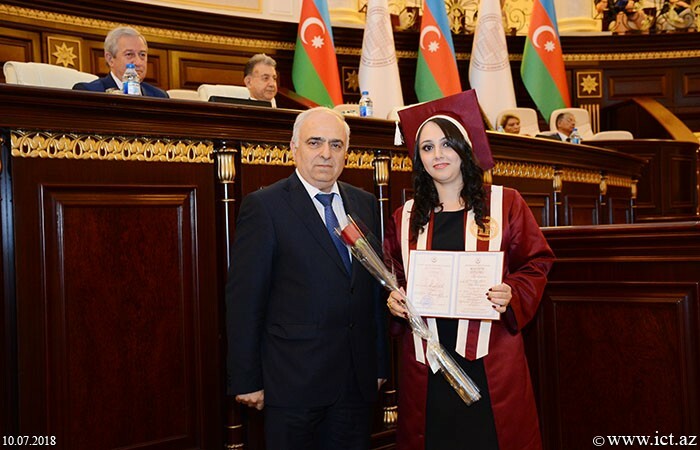 Master's students of the Institute of Information Technology Shalala Mansurova, History Institute Asmar Goyushova, Molecular Biology and Biotechnology Institute Elnara Sadigova, Linguistics InstituteBoyukkhanim Askerova said that they were proud to bear the title of graduate of ANAS and try to justify their hopes. 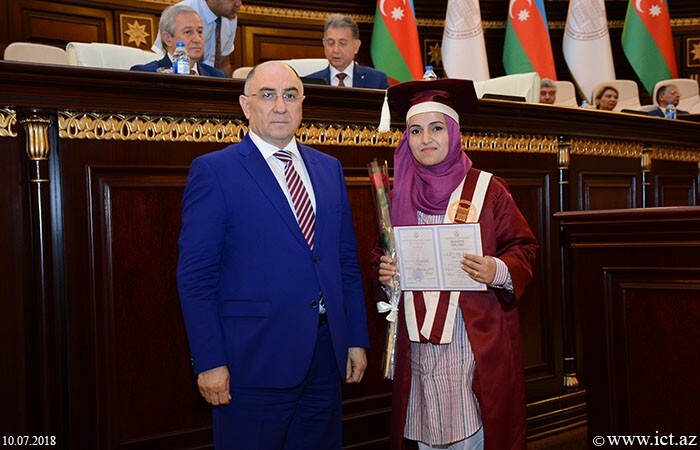 Thanks to the management of the Academy for the conditions created for quality education, graduates expressed their willingness to mobilize all their efforts to successfully continue their scientific activities. 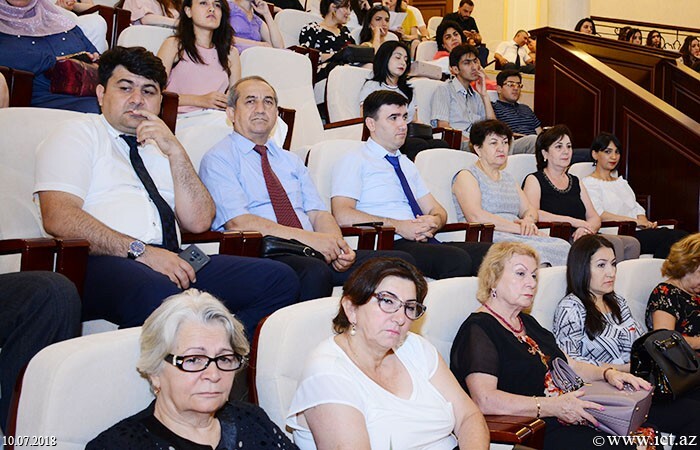 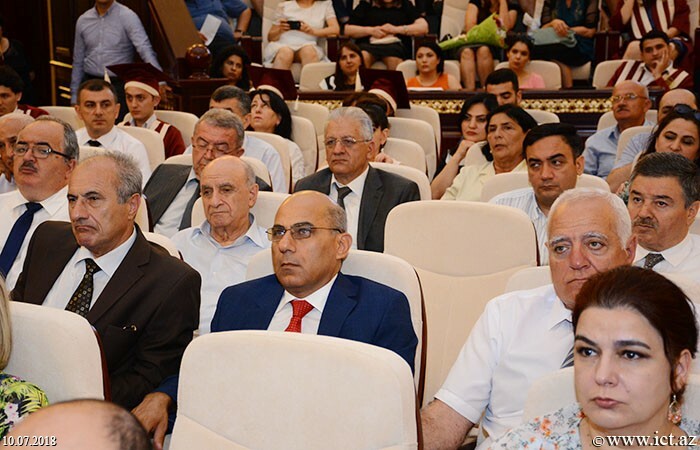 Director of the Institute of Linguistics, academician Mohsun Nagisoylu, director of the Polymer Materials Institute, correspondent member of ANAS Bakhtiyar Mammadov, employee of the Institute of Management Systems, PhD in mathematics, associate professor Gulchin Abdullayeva addressed the graduates with the opportunity to successfully complete their knowledge, advised to become an expert. 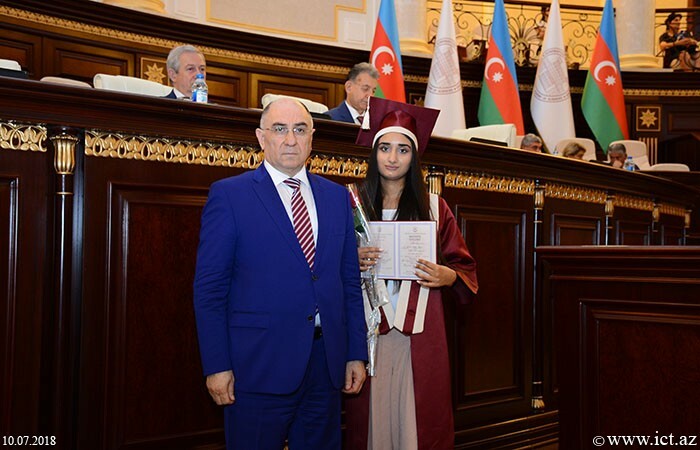 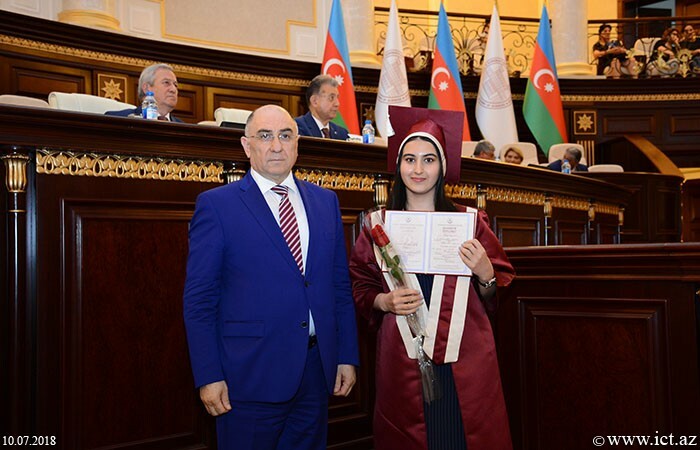 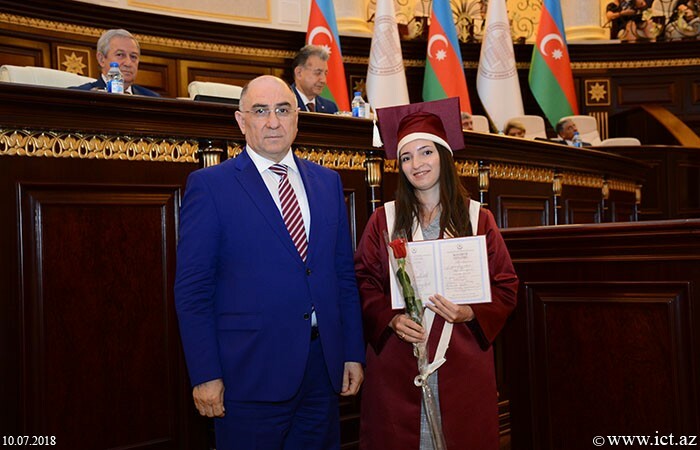 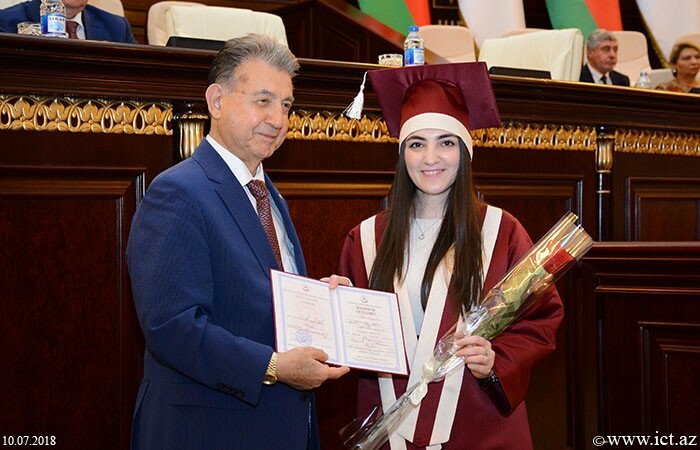 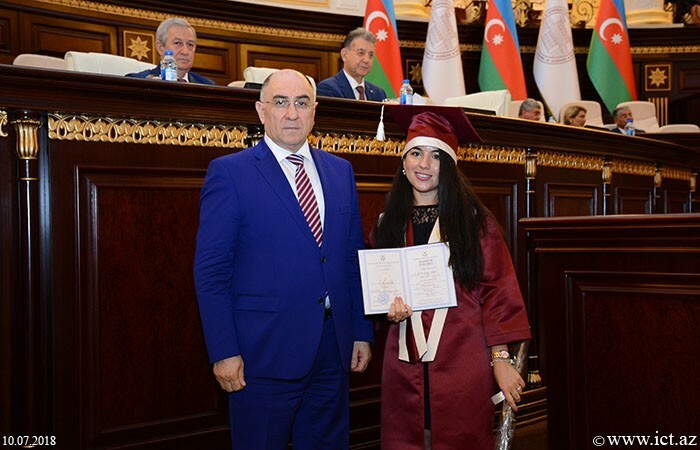 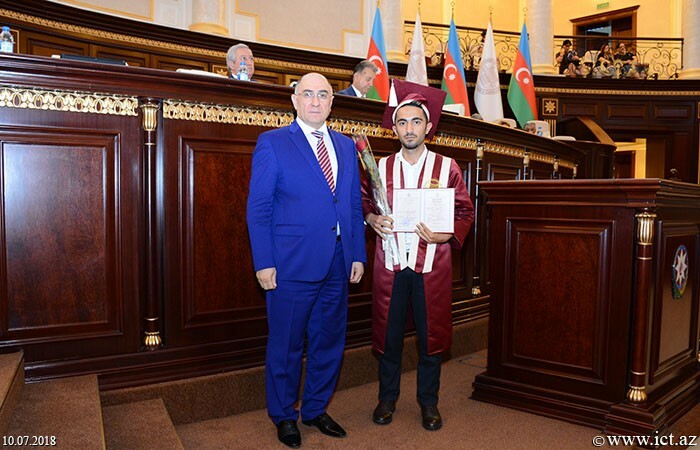 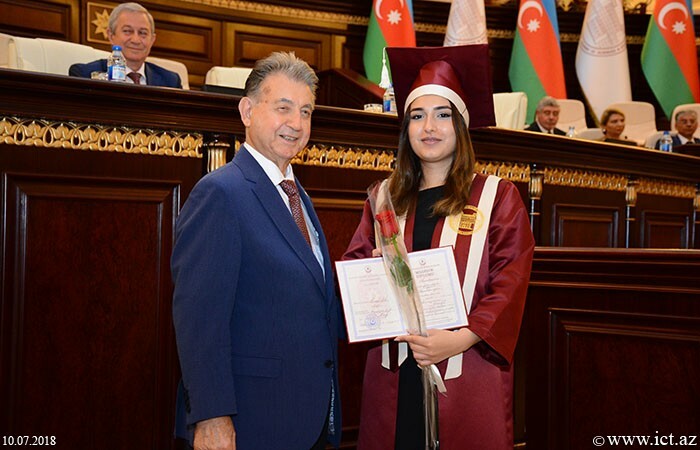 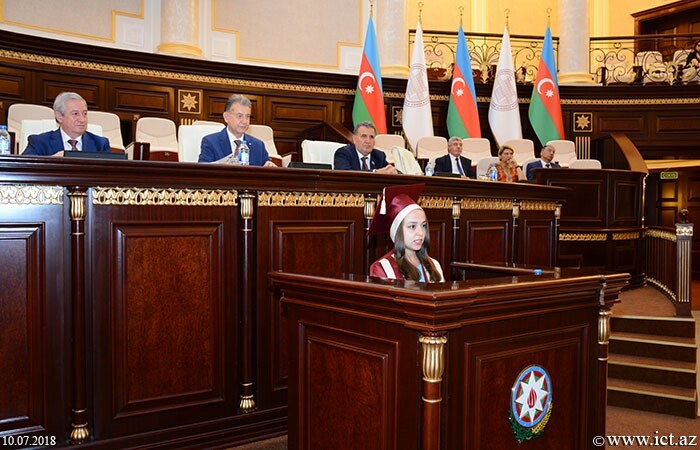 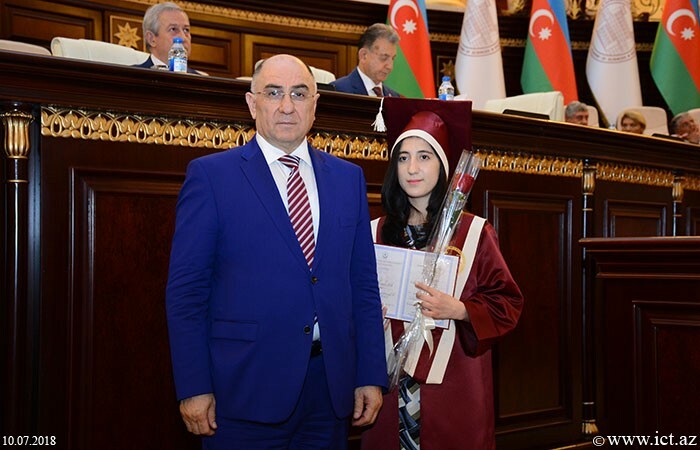 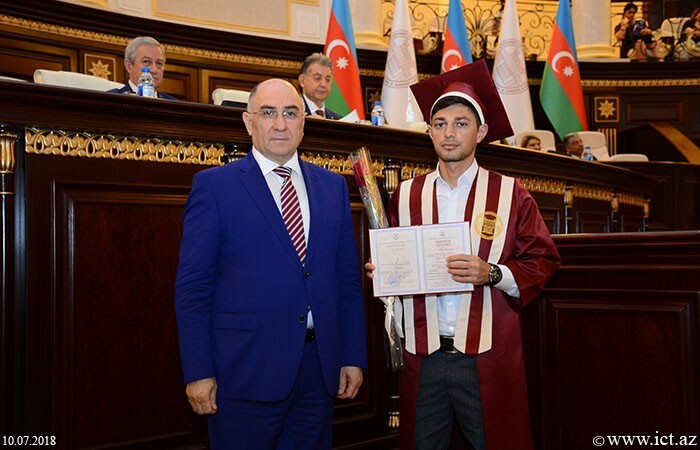 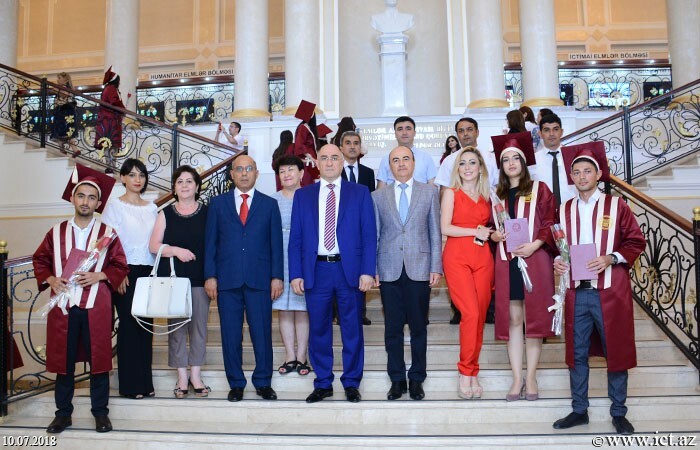 Post graduates of ANAS were awarded diplomas.